Have you ever wondered how music is put onto a CD? Your students investigate the internal components of the CD with an audio engineer who discloses the secrets of recording music. Field trips prove that time, amplitude, and frequency calculations play integral roles in the recording business. •Learn how sound waves are changed to electrical currents in order to store sound and how this process is reversed when creating sound waves. 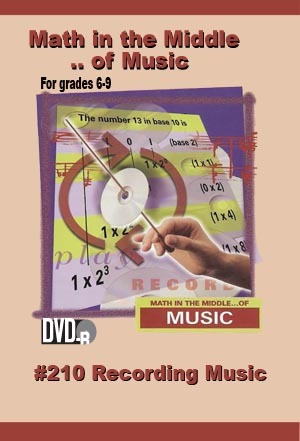 •Learn how binary numbers are used to store music. •Convert a base ten number to a binary number.